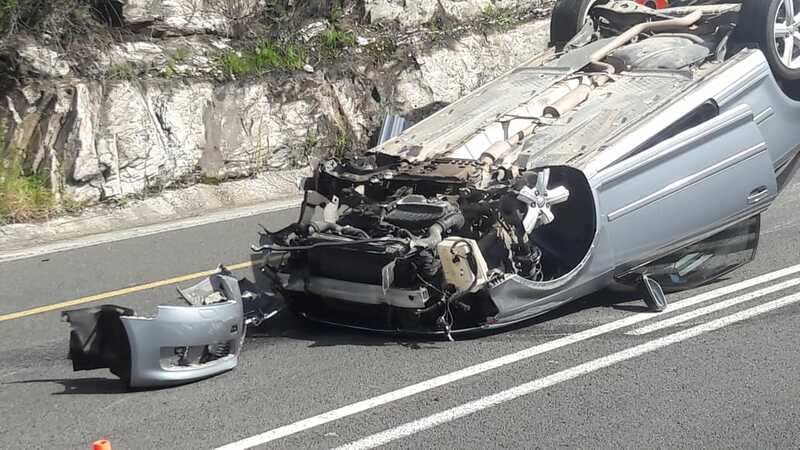 GEORGE NEWS - A car landed on its roof after the driver, a 26-year-old man, lost control of his vehicle on the Outeniqua Pass earlier today. 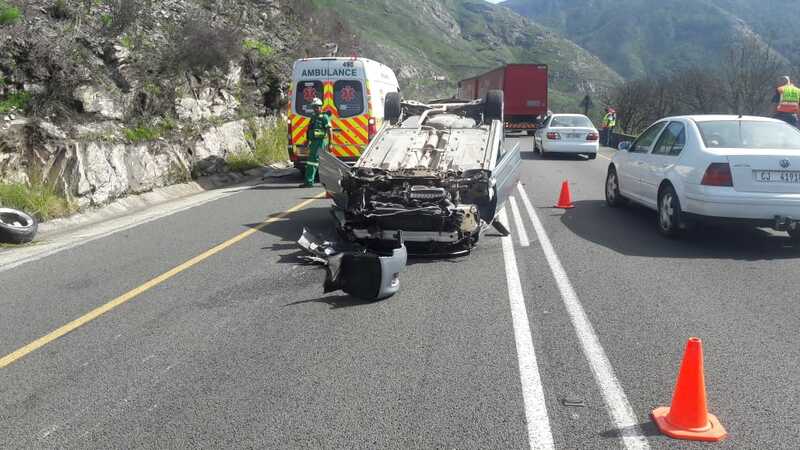 The driver, who was alone in the car, sustained moderate injuries and was taken to hospital by ER24 paramedics. The pass is open for traffic. 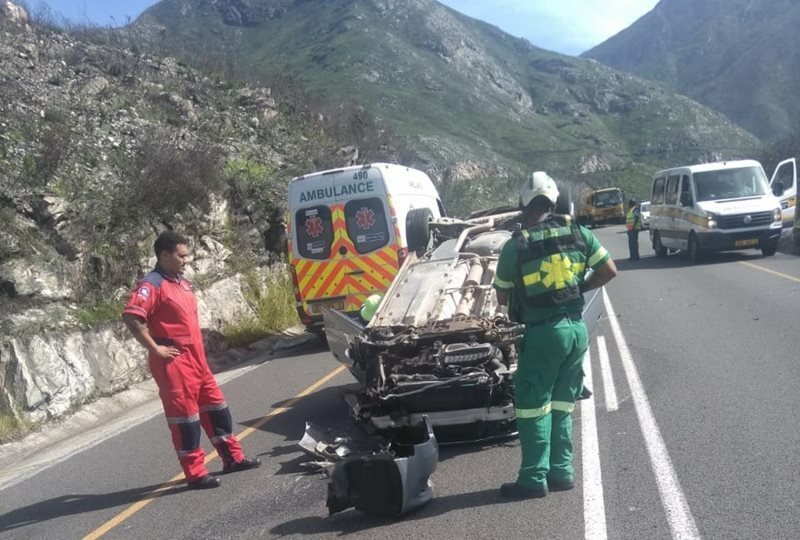 The driver of the car was driving from Oudtshoorn to George when he lost control over his vehicle. 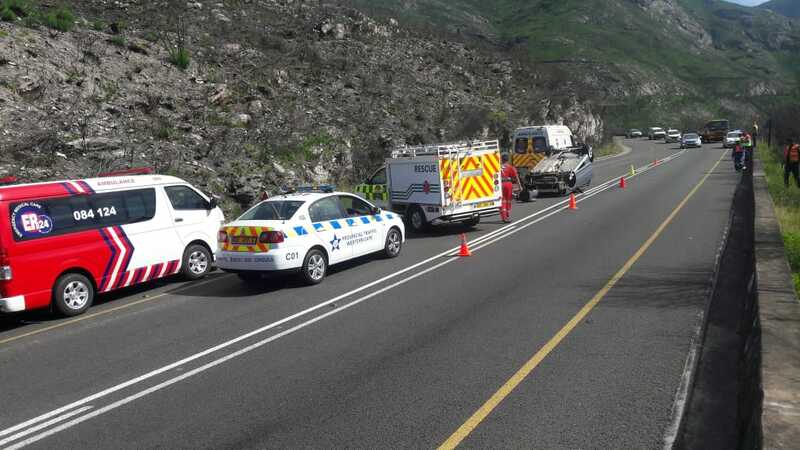 The driver of the car was driving from Oudtshoorn to George.